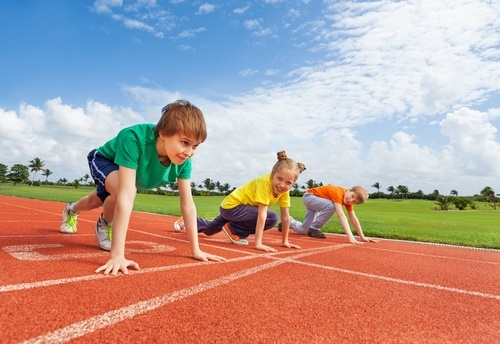 Running is one of the healthiest and simplest forms of exercise. All you need for a good run is a pair of very good shoes. More so, different people have different feet types with different needs. To meet them, sports shops are equipped with a variety of running shoes. Running in the wrong kind of shoes will invariably cause more harm than good, while the right shoes will give you a wonderful experience. Runners with normal or regular pronation find it easy to walk into a store and pick from a wide variety of fitting and very stylish shoes. The case is not the same for people who overpronate or have flat feet. 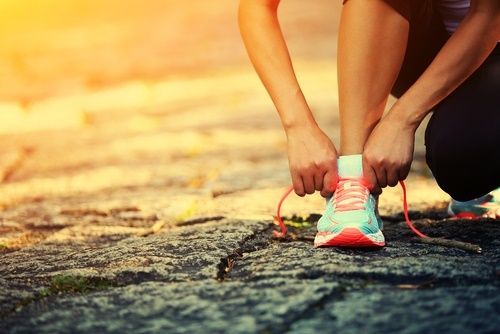 They usually need to place orthotics with arch support inside their regular running shoes or buy shoes specifically designed for flat feet and overpronators. Beyond stable running shoes, overpronators need motion control shoes in order to enjoy great performance and effectiveness while in motion. Runners who use orthotics or are heavy in need of this kind of shoe need to keep the feet stable and help transfer their weight from heel strike to toe push-off. This, though not an injury, is a condition that occurs when there is a transfer of weight from the heel to the forefoot, making the feet roll inward in the process and the foot’s arch to flatten. It is actually a normal and useful phase of the gait cycle because it provides the foot with shock absorbance. 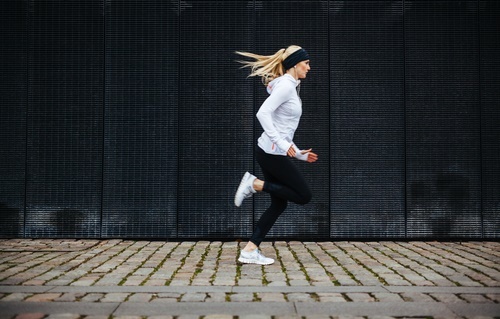 In cases of severe overpronation, neutral and minimalist running shoes may worsen your condition and ruin good shoes; this is because they may not be well-cushioned or offer the kind of support you need to correct your inward roll. 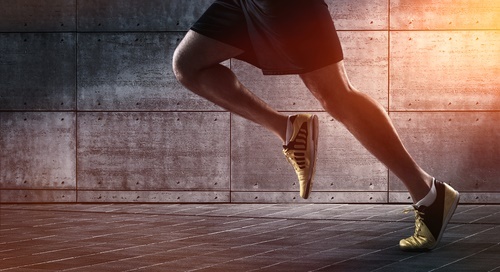 The best way to recognize overpronation is to pay a visit to a podiatrist so that gait analysis will be performed to find out how much you are pronating and your gait cycle timing. Another way to recognize overpronation is when the inmost part of your running shoe sole and arch does not make contact with the floor when you look down at it from a standing position. Thirdly, you can recognize overpronation by checking the insides of your running shoe’s sole for signs it is wearing out. If it is, your feet may be overpronating. The good news about overpronation is that it can be corrected. There are two major ways of correcting it. One way is to analyze your running style using gait analysis, while the other way is to get the best running shoe for it. Your feet type should not get in the way of you having a very good run. There is great pleasure in knowing that there are running shoes for every specific need. For runners who are in need of motion control shoes, especially those with flat feet and overpronation, shoes that offer medial support is the basic requirement. Such high-stability shoes should also offer optimal support, durability, ventilation and responsive cushioning. They should also be quite firm to keep the foot in place. This running shoe is made of fabric and synthetic. Lightweight and flexible, this running shoe offers a mesh with synthetic upper and an anatomical cradle design. It also has a well-designed cantilever technology that will give you shock and impact absorbance, as well as keep your heel steady and give you extraordinary spring for augmented energy return. Other added advantages are its removable GELform insole and FOM sole sock liner made from FOM and polyurethane for absorbing shock and impact. This running shoe is made from textile. 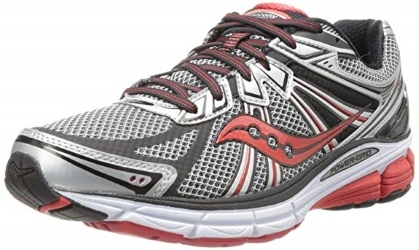 If you are in need of excellent cushioning, arch support and motion control, get Brooks Adrenaline GTS 18. Well-sized and equipped with a gender-friendly BioMoGo DNA, this will give you a comfortable and energetic ride. Its breathable and flexible mesh will ensure your feet are kept cool and dry irrespective of the weather condition. 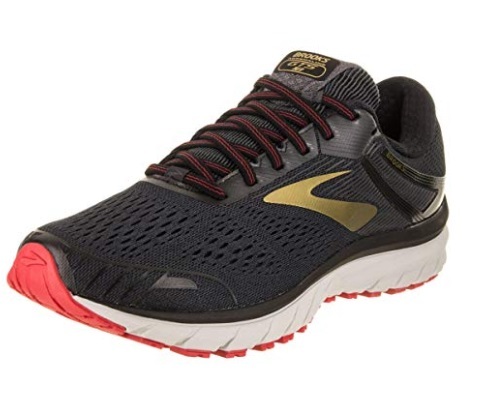 You have all the support, balance and cushioning you need from this running shoe’s synthetic upper, rubber sole, fabric lining and removable insole. To crown it all, its midfoot saddle is both adjustable and asymmetrical to help secure your foot. This running shoe is manmade. There is no better running shoe option for over-pronators. With its SpevaFoam material and DuoMax support system midsole technology that has dual density, this shoe gives exceptional support and stability. You can be assured of no blisters, irritation, friction or pain with these shoes sleekly engineered lightweight mesh design. This running shoe is made from mesh. It provides dual density and very good pronation control through its Extended Progressive Diagonal Roll Bar. It is laced up for easy use and its mesh will keep your foot cool and dry under different weather conditions. Your foot will be kept in place by the lush tongue, posh collar, and external heel. The S-257 Cushsole midsole also runs full-length and together with an insole board, will increase flexibility and lush. The midfoot also has torsional rigidity made available by a DRB Accel unit for independent action of the heel and forefoot. This running shoe is made of synthetic and mesh. It assures its wearer of a smooth ride with its excellent support, weight, and height. 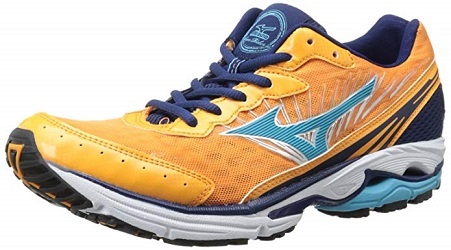 Its wave plate technology maximizes responsive action, while absorbing shock and impact. The forefoot is overlaid with heat-bonded synthetic suede, while its heel counter is a natural fit; these combined give the runner both lightweight and high drop. Sturdy, flexible and well-ventilated, you can take this shoe on a short-distance ride as well as a speed walk. This running shoe is made of synthetic in the USA. Great for motion control, this shoe offers you great cushioning, absorbance and balance with its Roll Bar support technology, polyurethane insert and dual density collar foam. It’s well-ventilated mesh and tongue collar add more support and is highly recommended for different feet types. 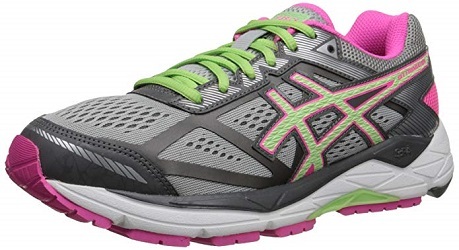 This well-built running shoe will definitely give you all the support you need while running. This running shoe is from synthetic. Traction and heel support exist, as well as stability and durability. 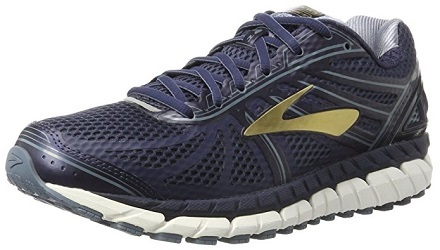 With its Upper engineered mesh feature, this running shoe is water-resistant, durable and breathable. The shoe adds a well-patterned rubber sole and supportive lace to its many features. 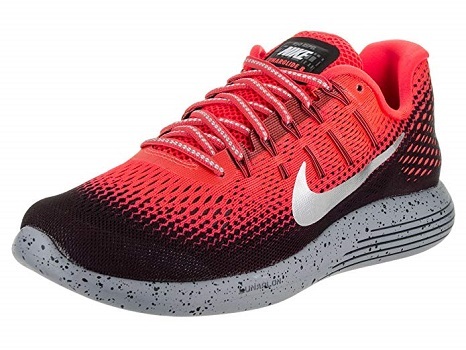 Nike LunarGlide 8 Shield definitely gives you motion control at its best. This running shoe is from synthetic and nylon. It has excellent cushioning and support features. Having a PowerGrid cushioning system for medial support, and Arch-Lock and Support Frame systems for sufficient control, this shoe is perfect for the needs of mild and severe overpronators. The XT-900 carbon rubber outsole will improve the shoe’s balance and durability. RunDry moisture wicking lining, HydraMAX wicking collar, and dual-density EVA foam midsole are for perfect fit and additional comfort. With a shaft of about 2.95″ from the arch, a heel-to-toe drop of 8mm, an open and seamless mesh at the upper, and a ComfortLite sock liner, this shoe gives you all the elegance, structural support, fit, protection comfort and durability you need for a great run. 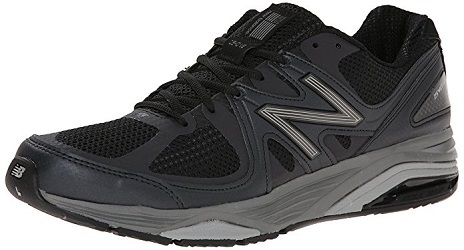 This running shoe is from 75% leather and 25% mesh. It has good cushion with ventilation. The high traction rubber outsole heel will give you maximum balance and protection. It has a shaft of approximately 2.58″ from the arch and a 12 mm drop. It also has a midsole made of injection-molded EVA foam. 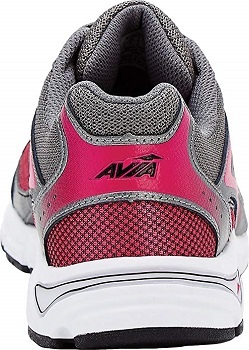 This running shoe is of synthetic with a rubber sole. It makes room for orthotics due to its removable insole and its mesh is has good ventilation. 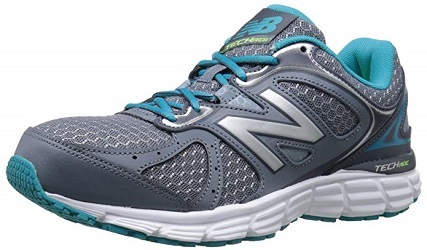 The GEL cushioning the rearfoot and forefoot provide will keep you wearing this shoe all day. Very comfortable wicking ComforDry technology is provided for the sock liner to add to your comfort. For balance, you have the SpEVA foam and a low-top shaft as measured from the arch. 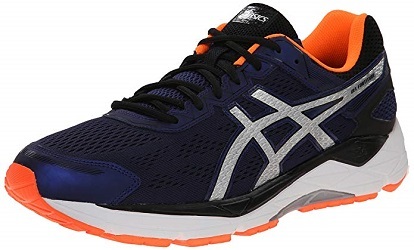 ASICS Men’s Gel Fortitude 7 running shoe makes available to runners great features that ensure good traction, stability, and support. The best motion control running shoe should be long-lasting, firm and stable. It is especially great for people who have flat feet, wear orthotics and are treating overpronation. Overpronation involves the excessive rolling of the foot, especially at a time when it should not roll. This could destabilize the foot in a bid to balance it. Having the best motion control running shoe will meet your needs while keeping you running long distances with the perfect gait.